Packing all your belongings in boxes and moving them around can be tough. We’ve all been there. Chances are we all have had unforgettable moves as well as dreadful moments. That is also a great moment to make a list of all the unnecessary objects. Your home might be hiding quite a number of items that you’ve been waiting to get rid of. –It’s also a brilliant idea to buy a roll of stretch wrap. –It protects you are valuables from being scratched and battered during transportation . -Vacuum seal out-of-season clothing. You might also want to pack them in boxes and suitcases. –Wheeled suitcases are a perfect choice for the transportation of heavy stuff like books. –Defrost your refrigerator 24 hours before the move. –Hire a sitter for your kids/pets, so that you don’t have to worry about them. Easy labeling systems make success stories – in this case, a good labeling system is more helpful than a personal assistant. This way, when you want something you don’t need to search for it forever, but go straight to the point, with a little help from your genius master list. Stay organized with the help of a colorful, multi-purpose binder. This binder should stay safely with you throughout the move. Make sure you don’t lose it from your sight. Always pack a box of essentials. There is nothing more frustrating than getting to your new home and then starting to search through tens of boxes in order to scrape up the essentials that you may need right away. Don’t forget to complete the box of essentials with an overnight bag, clothes for changing, your laptop and some sealed (it’s very important that they are sealed!) small bottles of shampoo and shower gel. Make sure you that get the best transportation/moving day – The thing with our off town and out-of-state moves is that it is expensive and will require a detailed, extensive planning. With intrastate moves costing an average of $2000 – $3000, and interstate moves averaging $7000 – $8000, you definitely need to consider all your moving options carefully (including whether or not you might want to drive or ship off your car in advance). We recommend that you get at least 3 to 4 bids from different moving companies before you decide with whom to work with. That will ensure that you get a fair price and maybe even a good deal out of it. Other things to have in mind and inquire about are the motor-vehicle and liability insurances, as well as the workers’ compensation plan in case of an accident. Most of the moving companies that are serious have this information already listed on their websites. If not, don’t shy away from giving them a call. It is important to settle all these details and get them out of the way before the big day arrives. Don’t forget to book well in advance. Consider the right transportation option for you. The truck size matters. It is imperative that you pick out the right transportation for your impending change of houses. While the objects from a one-bedroom apartment might just fit a 16′ cubic meter truck, the content of a fully furnished 3-bedroom house might require up to 2 or 3 trips of a 26′ truck. 1)Reputation. Ask around for movers that friends and relatives will recommend based on experience. Have at least three companies to compare services and reviews from before making your final choice. 2)Choose local. Oftentimes, local companies are the better choice in terms of budget and availability. 3)Ask for an in-house cost estimate. Let them see your belongings and inform them of the distance to your new home so they can quote you an estimate. 4)Look at the fine print. Check their cost estimate for hidden charges, insurance coverage, payment terms, policy on damage to items, etc. Compare these with the other movers you are considering and base your decision on your comparisons. When making your final choice for a mover to hire, keep in mind that getting the cheapest mover doesn’t always guarantee that you’ll save on money. Cheap could mean mediocre service, and that may incur unwanted problems along the way. Choose wisely and take all the above-mentioned factors into consideration. 1)Time your move. Mid-month and mid-week are the best days to get a good price, since most movers say the weekends and month-ends are the busiest time for them. 2)Look for cheap boxes to use in packing. Used and recycled boxes are cheaper and you can resell them once you’re done unpacking. 4)Start packing a long time off. Don’t do a last minute stunt. Plan months ahead which items you will bring and which ones to give away or donate. 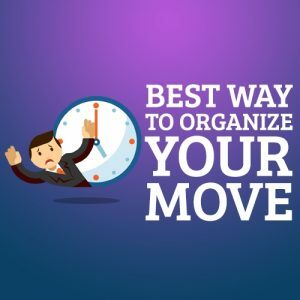 4)Organize a moving team. You’ll need all the help you can get, from packing, too labeling, too unpacking, and sorting your stuff. You won’t be able to do it all on your own, so might as well ask for help early on. 5)Time your departure from your old place. Make sure you will be able to stop and rest when needed at convenient times and places. You want to be able to get to your new house while there is still light outside for ease in unloading.